Time is running out for TSCHAA's early bird renewal special. Current members can renew for $15 throughout the month of April. Payment must be received before May 1st to take advantage of this offer. Members can renew before completing the current year. Your 2019-2020 documents will be held until your End of Year form is received. Renew here. One of the requirements of the Third Option law is to be a member in good standing with an accountability association. In order to stay in "good standing," TSCHAA requires each member to fill out an End of Year form at the completion of 180 days. This is our way of holding you accountable for following the law. The End of Year Form is on the Application/Forms page of the TSCHAA website. July 31st is the deadline. Don't forget you must have a graduation date on or before June 15th to qualify for SC scholarships! Your graduation date and graduation ceremony are not the same. The graduation date is when your child completed his classes. Please make sure the completion date is on or before June 15th. If you are interested in a diploma or transcript from TSCHAA, please order with enough time to meet college or graduation ceremony deadlines. A transcript can take up to a week to complete and email, and diplomas can take up to 2 weeks to be printed and mailed. Drafts of both must be approved by youbefore printing, so email communication between you and TSCHAA is very important. 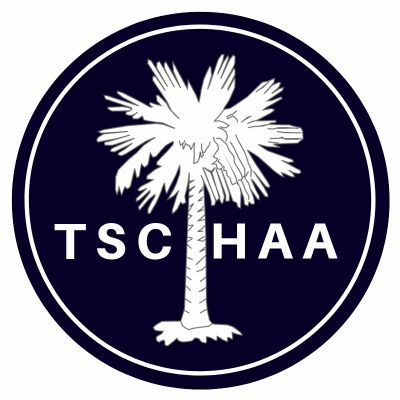 You can order a transcript and diploma on the Application/Formspage of the TSCHAA website. Homeschool associations are required to apply on behalf of Palmetto Fellows Scholarship recipients. Since TSCHAA leaves record keeping up to the parents as stated in the law, it is your responsibility to notify TSCHAA if your child meets the qualifications. If you think your child qualifies, please contact TSCHAA. To learn more about SC scholarships, visit here. An Evening in the Park - Spartanburg - April 25th 6:30 - 10:30. Contact 864-680-5033 or email shehan.lisa.r@gmail.com. Lowcountry Prom - April 27th 6:00 - 10:00 in Bluffton. Learn more here. A Century of Music 1919-2019 - Homeschool Formal and Reunion. May 30th 5 - 10:30 in Greer. Learn more here. Upstate - Vanguard - May 3rd in Greer. Learn more here. Columbia - May 4th - learn more here. Other options - for a list on on-site, online, or parent given testing options visithere. There are still many homeschool conventions to visit this year! Check out local offerings here. Are you keeping up with the Third Option Law?? Have a curriculum that includes reading, writing, math, social studies, science, and in grades seven through twelve, composition and literature. (You can teach more than these subjects, but you must teach these subjects each year. You do not have to teach specific courses within these subjects, however, when choosing your high school courses, you should consider what courses are needed to qualify for admissions at the college of your choice. I recommend, at a minimum, following the requirements for a SC diploma. TSCHAA offers a graduation planning sheet found here.